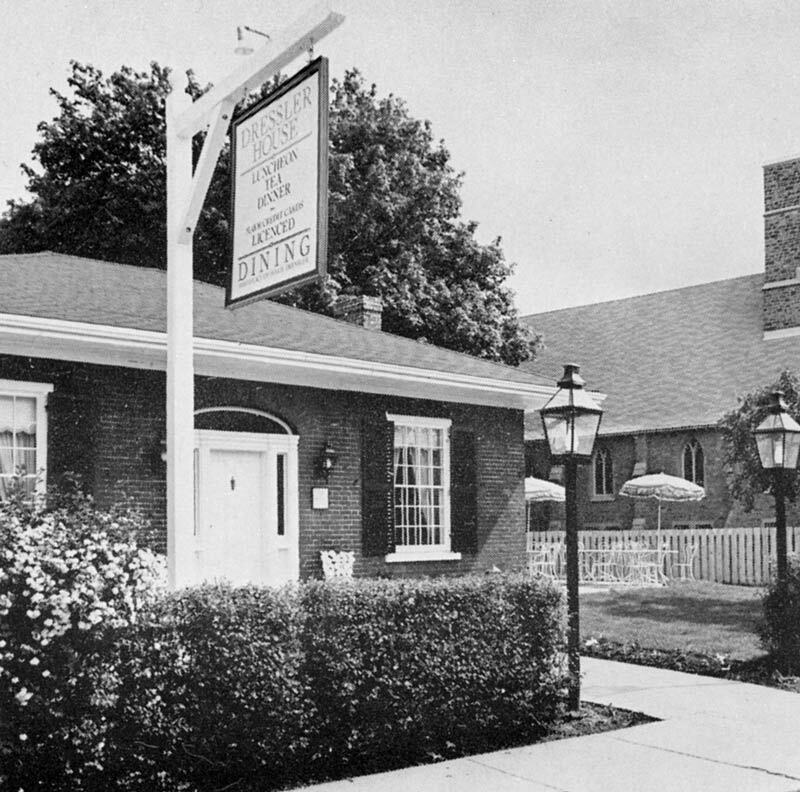 Above is Marie Dressler House in its prime days as a Restaurant in the 1950's Dressler House would always enshrine an unbreakable connection between Marie Dressler and the town of her birth in its several incarnations - from private residence to place of business to Chamber of Commerce office to Town of Cobourg Visitor Information office. Built in 1833, the cottage was of simple design, with two rooms off each side of a central hallway. Yet it contained embellishments suited to a family of means: high ceilings, large windows, impressive mouldings and an elaborate front door. The Von Koerber family was renting the house from John Field for $8.00 a month in 1868 when their daughter Leila was born on Nov. 9 in the northeast room, a child who would go on to fame as Marie Dressler. 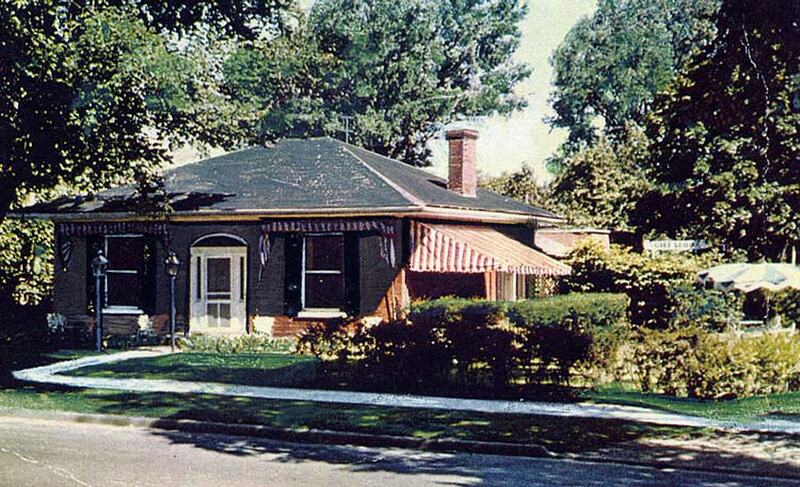 By 1934, the year of Marie's death, the Field family was living in the house. It had been a wedding present from John to his son Frederick, who would become the father of Lenah Field Fisher -- also born in the northeast room of that house. The Restaurant in its prime The star's death on July 28 spurred interest in her life, including her birthplace. 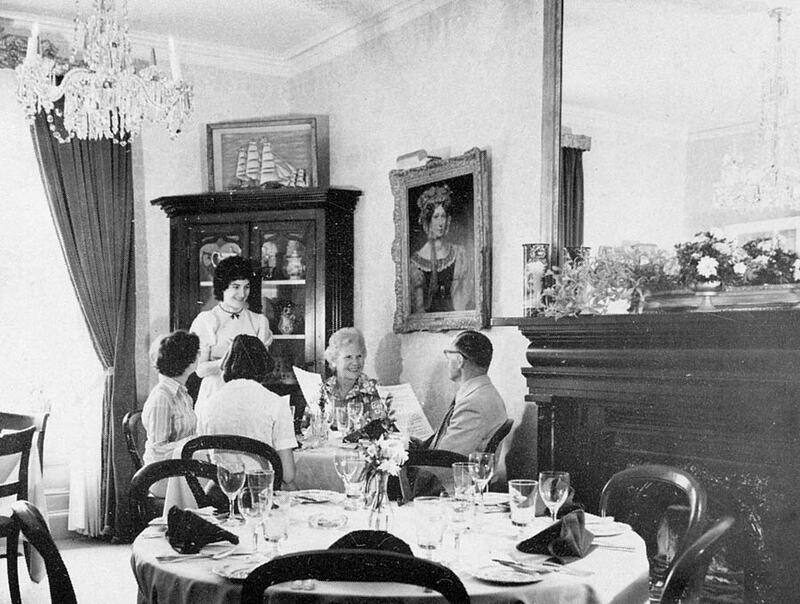 By 1937, the family had transformed their home into a restaurant in response to her many loyal fans who begged the chance to see the house. In those days, Cobourg's busy harbour owed a good part of its hubbub to wealthy Americans who made summer homes for themselves in town. Cobourg's small-town atmosphere, with the Victoria Park bandstand, quaint stores and little dance pavilion, was as attractive to visitors then as it is now. Several steamer sailings a day from Rochester, New York, brought summer residents and tourists to town, and the birthplace of the star of Tugboat Annie was an irresistible draw. From outside - the entrance at the rear away from the street The restaurant, then and ever afterward, would cater to a clientele who valued fine dining, superb food and gracious ambience. It offered the first licenced patio service in Ontario. If its guest book is any indication, it became known worldwide. Customers had come through its door from each American state and each Canadian province, as well as from Europe and the Orient. The spring 1988 edition of Epicure magazine described it by saying, "The red-brick bower of roses and geraniums, in which Marie Dressler of the silent screen was born, offers many appealing dishes. Excellent duck/hazelnut pate, silky-cool cucumber soup, ratatouille, local rainbow trout, pink lamb medallions as tender as can be, grilled-to-succulence chicken breast treated to a tangy basil/orange butter. Luxurious sweets. Rooms finished 1860s-style." The property remained in the Field family until 1974 when it was sold to Luigi Brandino, who soon afterward sold it to Kevin Parker. Parker spent almost a year restoring the building and facilities, making the rooms historically correct for the 1860s in their decor, a reflection of the house as it might have been when Marie was born. Fire at Dressler House - January 1989The wallpaper and chandeliers were imported from Williamsburg and England. Many antiques were collected, to augment a few that had survived from the time the Von Koerbers had been in residence. The famous collection of 2,000 antique buttons was displayed in the room where Marie had been born. In 1985, the restaurant was sold to its final owner, John Wilkinson, the four rooms of the cottage had become two large dining rooms by that time. 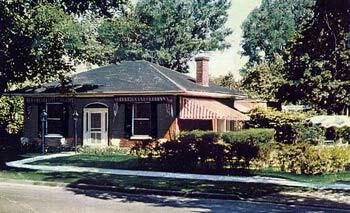 The summer kitchen at the back had been replaced by a modern restaurant kitchen wing, the back yard by a parking lot. More than a half-century in business by that time, it was known well beyond Cobourg's borders. 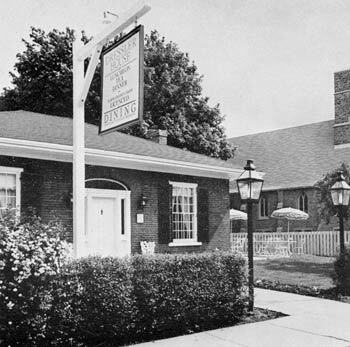 A Belleville Intelligencer article from 1987 speaks of its working fireplaces, valance boxes over the windows, needlework samplers hanging in a graceful entrance hall, "all as they were when Marie Dressler was born Leila Koerber in 1868." Then on Sunday, January 15, 1989, owner-manager John Wilkinson discovered a fire in the wee hours of the morning and firemen battled the blaze well into the following day. Although extensive damage almost resulted in complete demolition, the building was declared basically sound. Cobourg and District Chamber of Commerce director Bill Patchett was appointed chairman of fundraising and so was born the Marie Dressler Foundation. 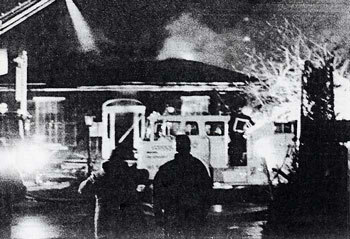 Efforts continued and the house was purchased from the Wilkinsons and restored through the efforts of the Foundation. 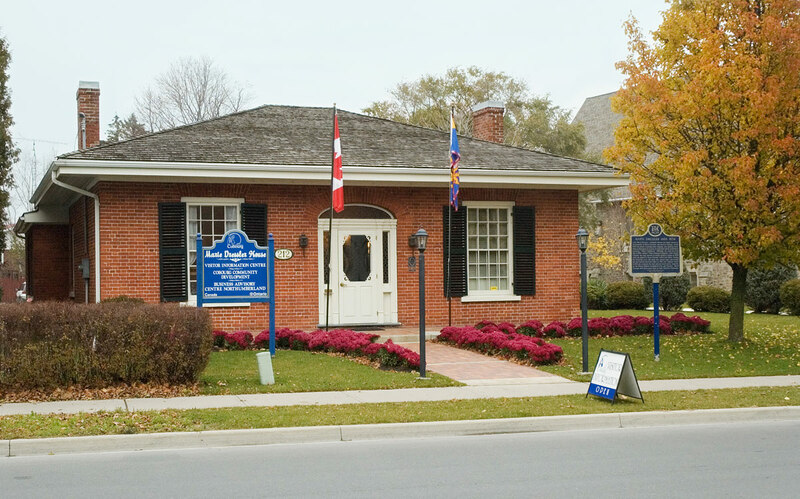 For many years it operated as the home of the Chamber of Commerce but is now owned by the town of Cobourg and operates as the town's visitor information office and houses a small museum dedicated to Marie Dressler - more here. It is located at 212 King street West.